Supposedly in Seattle, 2 Starbuckses squat directly opposite each other, across a street. That’s not happening in Westport. But it’s close. As reported first on “06880” last October, the Starbucks near the Sherwood Diner is moving. 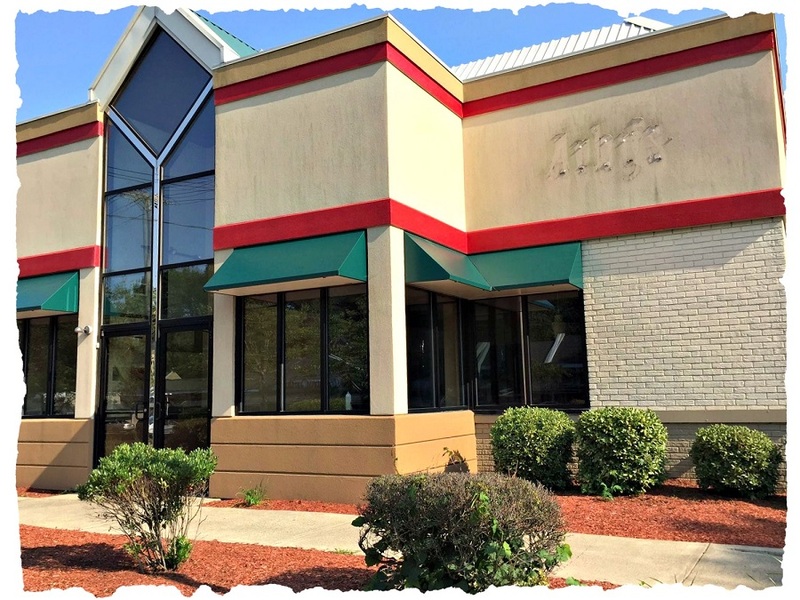 Its new home is across the Post Road, the former Arby’s. That puts it even closer to another Starbucks: the cafe in Barnes & Noble, a few yards away. Arby’s is empty now (nothing new). After refurbishing, the site — formerly Burger King, and before that Carrols — will be open. It will include a drive-through, for vanilla mocha pumpkin toffee nut latte-lovers who don’t even want to park. This entry was posted in Restaurants and tagged Arby's, Carrols, Entitled parking, Starbucks. Bookmark the permalink. For parents that have to contend with taking kids in and out of car seats or waking a sleeping child this is a god send. Personally not a fan of Starbucks but want to give the dissenting view to some. Is there any word on what will move into the existing Starbucks site after it relocates? A bank, hair salon or frozen yogurt shop. A pot shop, if Westport allowed it. If I’m not mistaken, every Starbucks is owned by the parent company. These are not franchises competing with one another. If the demand is present, it’s much easier just to rent another storefront and open another Starbucks than try and enlarge or remodel an existing one. Correct. Starbucks is a chain business, not a franchised business. Thank goodness. Our long Westport nightmare is over!!!! Cars trying to turn left out of the new location will be a big traffic and safety problem. You don’t have to go all the way to Seattle to see Starbucks across the street from each other. It’s actually pretty common. Even here in little Lawrence, KS (pop. : 8 Starbucks) we have a freestanding Starbucks directly across the street from a branch in a supermarket–and a third one just down the street. We have one (I think only one 🤔) Starbucks in Trumbull. It has outdoor cafe seating and it’s always busy. I don’t go there (lol). Starbucks and McDonalds are as universal as a bad news day. Do you realize how much I’ll miss your Starbucks parking posts? This blog will never be the same! The leopard does not change its spots. I have full faith that the patrons who migrate across the street will be equally inept in their new home.